Weak, brittle toenails not only look unsightly – they can also provide the perfect conditions for fungus to form. To make matters worse, once fungus beds in, it can cause the toenails to become crumbly and unstable. In severe cases, it can separate from the nail bed, causing enormous pain. Keeping your toenails strong and healthy is vital to general hygiene and health. The problems that can arise from having weak toenails can range from the cosmetic and unpleasant to the very severe. If your weak toenails cause fungus to form, you could end up having trouble walking. The good news is that there are dozens of toenail strengthening creams on the market. These can help you to bolster your defenses against fungus and other infections. These ointments, lotions, and creams can bring much-needed nourishment to your toenails (and fingernails, for that matter). If you find that your toenails regularly chip, crack or crumble, it might be time to look for a toenail strengthening cream, such as Hard As Hoof Strengthening Cream. In this article, we’re going to take a look at some of the best options, and how they can help to strengthen and revitalize your toenails. 1 What’s Weakening My Toenails? 2 What Is the Most Effective Nail Strengthening Treatment? 4 How Long Does Treatment Take to Work? 5 Who Should Use Toenail Strengthening Treatments? 6 What Are the Best Options for Strengthening Toenails? Before we take a look at some of the best strengthening creams for brittle toenails, we need to look at what causes the problem in the first place. There’s no point using a great cream to solve the problem, only to make the same foot care mistakes again. Vitamin deficiency. If you’re not getting enough of certain vitamins, it’s likely that your fingernails and toenails will be weakened. This is especially common in those suffering from eating disorders such as anorexia and bulimia. If you think you might have a deficiency because of your diet or an eating disorder, ask your doctor to perform a test to confirm this before you act on it. Overuse of cosmetics and chemicals. Many women like to paint their toenails different colors or have gel pedicures layered over their toes. However, the constant application of solvents, polishes and other chemicals can contribute to onychorrhexis of the nails, both on the fingers and the toes. This can apply to people in other industries too. If you work as a lifeguard at a swimming pool and are constantly getting your hands wet with chlorinated water, you might notice that your nails are becoming brittle. Unfortunately, the natural aging process also plays a role in making nails weak. As we age, our bodies are less able to retain moisture, and this can manifest in dry, weak nails, skin, and hair. Toenail fungus. One of the key reasons why many people experience easily cracked nails is because of an underlying toenail fungus infection. The fungus can cause the nail to split or crumble. This should be addressed with an approved treatment before you can consider trying to build up the strength of the nail. A hormonal disorder can lead to weight gain, fatigue, thinning hair, and fragile nails. If you’re experiencing these symptoms, see a doctor for a formal diagnosis. Skin conditions like psoriasis and eczema. These conditions not only affect the skin, but they can also cause nail problems too. So now we understand what the causes of brittle nails are, we can look at other treatments to strengthen them. Remember: if you suspect you may be suffering from an illness listed here (anorexia, fungal nail infection, hypothyroidism), it’s vital to see a doctor and have this diagnosed or treated before you look at nail strengthening creams for your toenails. What Is the Most Effective Nail Strengthening Treatment? This cream by Onyx Professional does what it says – it makes your nails as hard as hooves. The rich, creamy formula is packed with vitamins and emollients to help imbue the nails with moisture once more. It’s perfect for soft and fragile nails and will help to prevent splits, chips, and cracks. The ingredients are largely natural. They include aloe vera oil, jojoba oil, and beeswax, as well as vitamins A, C, D, and E. Many creams designed to strengthen can have a chemical-like smell, but the cherry and almond fragrance of this cream makes it a treat, rather than a chore. The cream can be used up to three times per day, both on the fingernails and the toenails. It should be massaged into the nail bed, the cuticles and the undersides of the nails to add nourishment. It can also be used over existing antifungal nail polish, so don’t feel like you have to strip your nails with a solvent for the cream to be effective. Happy users include guitarists who need strong nails to strum their instrument, ladies with chemically damaged nails and those with naturally thin toenails. Check the Price of Hard As Hoof Strengthening Cream on Amazon! This fast-acting nail strengthener is another popular option. It contains ingredients designed to create a healthy foundation or nails, including hydrolyzed keratin, gelatin, and calcium. A sophisticated blend of protein formulas also helps to bond the nail layers together. This creates toenails that are resistant to chipping and peeling. This formula can be applied once daily and can be worn alone or with stylish nail polish. As soon as you start to see results with this product, you can ease off usage and take it back to a few times per week. Stop using when you’re completely happy with the results. This may take a few months, as nails don’t miraculously change their texture overnight. You might need to wait for a whole new nail to grow through, but when it does, it will be robust, strong and less likely to break. Check the Price of Nailtiques Nail Protein Formula on Amazon! OPI has been one of the leading names in the world of nail care for decades. Nail Envy Nail Strengthener for Soft & Thin nails is one of the best options on the market. With added calcium and protein, the treatment contains all the ingredients necessary to build hard, strong and long nails that won’t split or break. The OPI Nail Envy range is available in a transparent liquid. This version can be used as a standalone treatment or as an alternative to a base coat before you apply polish. There are also neutral hues available in three shades, so you won’t need to apply multiple coats of polish over the top of the Nail Envy solution. Check the Price of OPI Nail Envy Nail Strengthener, Original, 0.5 Fl Oz on Amazon! Most of these brittle toenail treatments work by helping the fibers of the toenails to bind together more effectively. This leaves them less prone to breakage. By infusing the toenails with vital proteins and plenty of moisture, the creams provide the ideal foundation for a healthy toenail to grow. Some of them provide an extra protective layer which can stop toenails from breaking while returning to their natural strength. The most important thing to remember when treating any toenail issue, whether it’s a fungal infection or soft nails, is that it won’t be cured overnight. Toenails can take around six months to grow out entirely, and in some cases, it may be a case of waiting for the old toenail to grow out. When you start using any of these treatments, you should notice positive effects within a matter of weeks. It won’t happen instantly, or in the space of a few days, but after a while, you should see that your toenails look and feel stronger. Who Should Use Toenail Strengthening Treatments? As we’ve mentioned before, not everyone should go for these toenail strengthening creams right away. If there’s an underlying cause – such as a thyroid problem or a fungal nail infection – this will need to be addressed before you can consider applying a strengthening treatment. Otherwise, the toenail cream will be less effective, and you may end up wasting your money. If you think you have a vitamin deficiency, speak to your doctor about it first. They may be able to prescribe you with some vitamin supplements to help boost the vitamin levels in your body. In this case, you can start applying the creams straight away. You should start to notice a major difference as your vitamin levels rise and the cream starts to do its work. If you think your brittle nails are due to age, you’re a perfect candidate for using these creams and solutions. With no underlying cause to address first, you will start to see results fairly quickly. The results are likely to last for as long as you apply the cream or treatment. If you stop applying the ointment, your nails will likely return to how they were before within a matter of months. This is because your body is finding it harder to retain moisture. What Are the Best Options for Strengthening Toenails? We’ve been over some of the best options for strengthening toenails, and our number one method is the Hard As Hoof Strengthening Cream. Unlike some other treatments which need to be applied like a nail polish would, this cream can simply be rubbed on the affected area, making it super-easy to use. This cream also produces excellent results, with many positive reviews from individuals claiming this particular product has saved their nails. 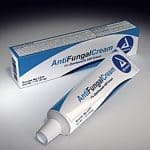 If your toenails are seriously suffering and starting to break off, leaving you exposed to a fungal nail infection, Hard As Hoof Strengthening Cream should be your first port of call due to its moisturizing and strengthening action. What’s the Best Way to Remove a Dead Toenail?